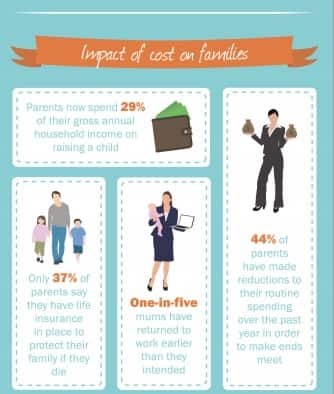 Did you know that on average the cost of a child up to the age of 21 is £229,251, an increase of almost £2,000 on last year’s figure. According to the report, the cost of childcare (nurseries, babysitting and after-school care) in particular has seen the most dramatic increase over the last 12 months, rising by 2.2% to reach £67,586. Use the childcare cost calculator created by LV to find out how much you are potentially going to spend on your children until they grow up. 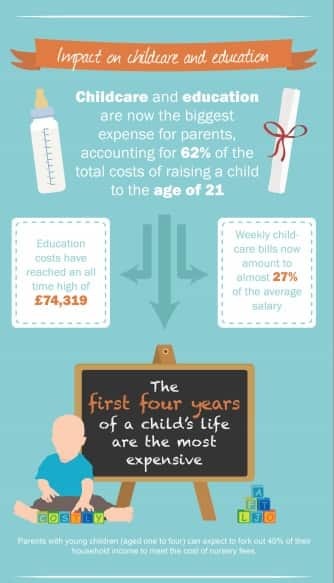 The cost of education has also climbed in the last 12 months to reach an all-time high of £74,319, causing parents to think twice about whether university is a feasible option for their child. 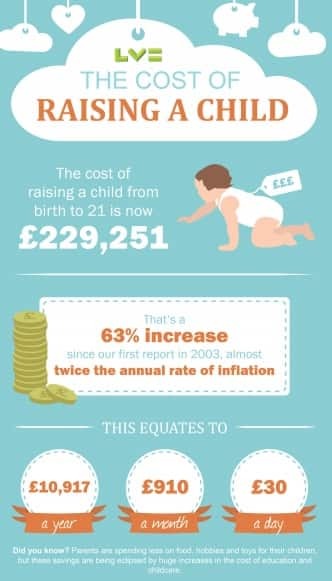 Guess how much it costs to raise a child from birth to 21? LV asked this question to a group of parents at Lollipops play café in Bournemouth. Listen to their reaction to the latest figures, their take on how they afford childcare, and the reality of whether they have anything in place to protect their essential income that pays for these rising costs. Get to know the key findings.